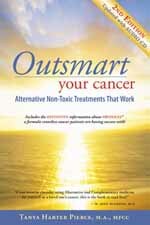 Start reading this eBook version of Outsmart Your Cancer: Alternative Non-Toxic Treatments That Work, 2nd Ed. IMMEDIATELY! When you order this eBook, you’ll be able to easily download it to your computer via an email link. In just minutes, you can be reading critical information from your screen, or printing sections of the eBook on your printer at home! This eBook contains the exact same information as the paperback book. When you order this eBook you will be receiving a download link email to download it. Please be sure to NOT try to download the eBook(s) to your smart phone or tablet because it is too large a file for those devices. Only download from a personal computer.